Coventry City complete permanent Jones signing. 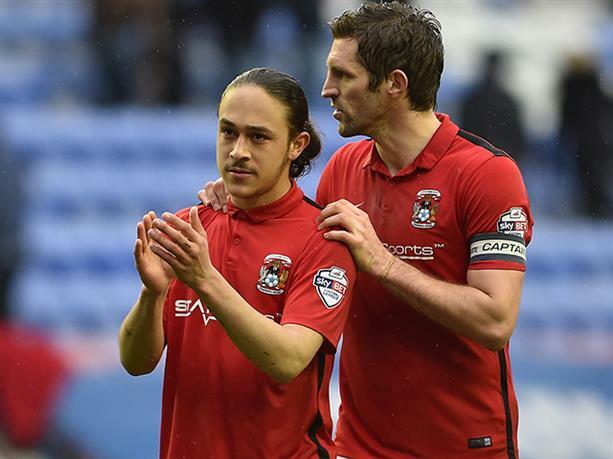 Coventry City have today completed the permanent transfer of Jodi Jones on a four-year contract. Jones, 18, signs permanently after originally joining The Sky Blues on loan from Dagenham and Redbridge in March. Initially being signed ahead of the permanent transfer this summer ‘to get a feel for the Club,’ Jones forced his way into the first team picture early, making 6 appearances for Tony Mowbray’s side. The deal will officially go through on July 1st when the transfer window opens. Speaking to the Club’s official website, City boss Tony Mowbray said: “We’re delighted to get this deal over the line as it represents a huge deal for our football club. “Jodi is a player we’ve tracked for some time during his time at Dagenham and Redbridge and we’ve been really impressed with him since he joined us on loan. “He has a fantastic attitude where he applies himself every day at Ryton to improve and work on his game. We originally brought him in on loan to get a feel for the place ahead of this deal but he forced his way into the side with his impressive performances and the natural ability he has.